Everyone loves to have a big, beautiful and serene lawn. Not many homeowners know how they will do that. Even when few of them know, they have a hectic schedule and don’t have the right resources to do it. But it is very important to take care of your beautiful lawn so that it is not damaged by the pests.Lawn care is an effective stress buster. Along with the fact that you will get an opportunity to be close to nature, it is a very beautiful feeling to have a well-maintained lawn. You will also learn to be creative. Of course, most of the people who don’t get time prefer hiring a professional who can take care of the lawn. There are many aspects you should consider when you are thinking of enhancing the beauty of your lawn, and it also includes pest control and weed control. 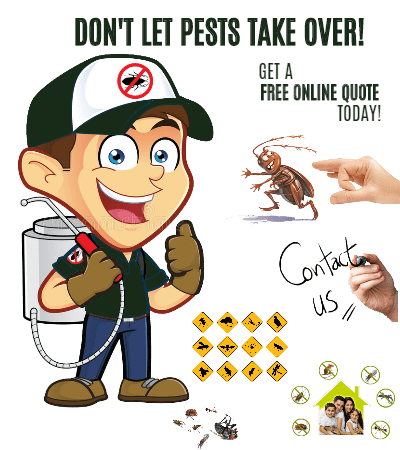 At BEST PEST CONTROL PERTH WA, we have a team of professionals who will eliminate all the pests from your lawn and make the space beautiful for you and your loved ones. Needless to mention, investing in the lawn services is a costly affair. There are many usual insects and weeds that can destroy the plants of your lawn, causing a great damage which will make it difficult for you to maintain your beautiful lawn. Controlling the lawn damaging insects can pose a threat to your lawn and so pest control should be immediately implemented with the help of best lawn pest control experts. This can definitely help you maintain a beautiful lawn. Presence of different fungus that uses grass as a food source is one of the major reasons of the lawn diseases. It can also lead to many major things such as sudden brown patches, grass blades or quick/no growth. These kinds of fungi may vary from one region to another. Your lawn is always under threat, especially when you don’t get time to maintain it. Remember, pests are everywhere. They can attack your beautiful lawn anytime. First and foremost, you should clean your property as often as possible if you want to protect your property from the pests. From dead leaves to the branches and even the debris can become the shelter for pests. If you don’t clean them at the right time, they can also enter your home. That’s exactly why you should try to clean your property every weekend. 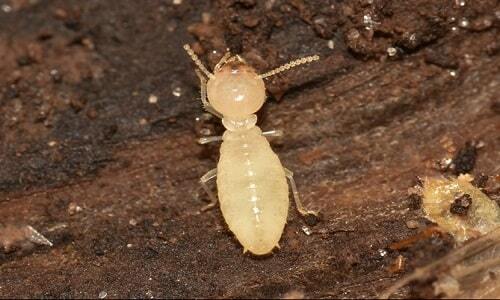 By doing so, you will eliminate the breeding areas of pests. Homeowners’ must try to mow their lawns as much as possible. It is not only important to enhance the beauty of the property, but can also help you get rid of the pests. The reason why you should regularly mow is because long grasses can become the breeding area for the pests. While you are carrying out the process of mowing, you should eliminate long grasses. Furthermore, it can also help your grass grow and eliminate the unwanted weeds. You can ask any lawn care experts. They will always advise you to water the plants during the morning hours. It not only helps the plants to grow easily since they get direct access to the food resources from soil, water and sunlight. You should never ever water them at night since the soil becomes soft which can attract pests. Another way through which you can easily eradicate pests is by planting different varieties of grass. Yes, you heard it right. This will help you drive away the pests because there are some pests which only eat certain specific kind of plants. It will also enhance the beauty of your lawn. If you have tried all the methods but none of them are working, it’s time to use the pesticides. However, you should be aware of the risks involved in it. To avoid all the different kinds of risks involved with pesticides, it is a must for the homeowners to use pesticide applicators. You can also opt for organic pesticides. In case if the DIY approach fails to work or doesn’t assure you with the best results, speak with the experts. 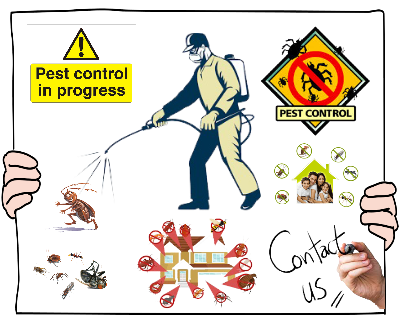 They have the right tools and knowledge to help you get rid of the pests. Needless to mention, they will also share some great tips to prevent the pests from entering your home. Considering the fact that pest and weed populations can increase rapidly, it is very important to be active in treating these pests. We have a team of experts who will first share some great preventative measures before they recommend any kind of treatment. Degenerative conditions can also lead to further problems. For instance, if the condition of your lawn deteriorates, species living in your lawn will look for other places for food and shelter- and that also includes your home. The presence of the unwanted plants and animals in a large number can be harmful for your children. The reason why you should immediately look for professional lawn services is because pest control services can keep your lawn green, beautiful and healthy all the time. Look for someone who will take care of your lawn in the best way. Our team of skilled, knowledgeable and experienced professionals can evaluate the conditions of your lawn and recommend the best solution to treat your lawn. To schedule a meeting with our team experts, give us a call right now.